Jatu didn’t know exactly how old she was. She thought she might be 15, but her playful grin and bright pink polka dot nail polish suggested she was a lot younger. 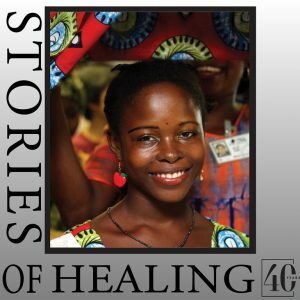 Whatever her age, Jatu has already endured enough suffering to fill a lifetime. 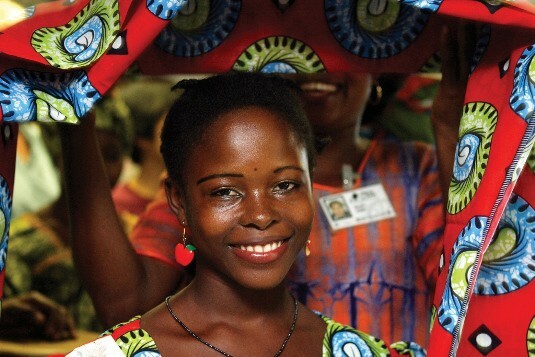 Then again, her story isn’t all that unusual for a Sierra Leonean child-bride. It all started well. Jatu speaks fondly of her courtship. She was pleased when a man from the village asked for her hand in marriage. Her parents made all the arrangements. A year after the wedding Jatu found herself with child. The pregnancy was trouble free, but the delivery was traumatic. Jatu was in labour for 24 pain-filled hours in her remote village. There was no access to medical care. Only after a relentless day and night of labour was she taken on the seemingly endless journey to a hospital in the next town. It was there she finally delivered her stillborn baby. Soon after the birth, Jatu realised she was leaking urine. 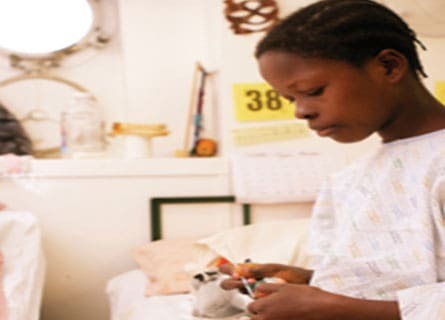 Tragically, she had joined the hundreds of thousands of African women each year who develop an obstetric fistula because they have had no access to the medical care they need during labour. Jatu suffered extreme incontinence for months. But then her father-in-law heard of the Mercy Ship docked in Freetown in 2010 offering free surgery to correct this condition. Jatu’s operation on the Africa Mercy was a complete success. On the day she prepared to return to her village, the women on board the Mercy Ship gathered. Together they celebrated the recovery of Jatu and the other patients who had undergone the maternal reconstructive surgery. Each woman, young and old, was given a new outfit to celebrate their renewed lives as they headed for home.